I am so proud to feature another outstanding, inspirational member of the #doc (diabetes online community) in today’s episode of Unleash Your Inner Diabetes Dominator, the lovely Riva Greenberg. Be sure to check under the video for all of Riva’s links to her websites and her awesome books. 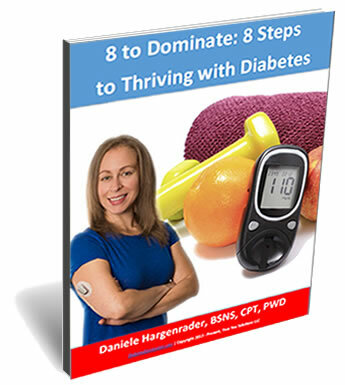 She is one of many examples of someone who is in her words “flourishing” with diabetes, and in my words, a diabetes dominator!!! I really love this interview that you guys did it’s good to know that we’re not alone and that there is other solutions than just the normal advice we all get from doctors. it’s also good to know that we all have our own struggles but there is a common thread through all of them thank you for this. It has helped me to see this because it let’s me know that there is hope even if like me ( TD 1 for 27 years) that it is never too late to get better, thank you guys. It makes me so happy to hear that you found value in the interview. You are not alone, and everyone’s voice matters! There is always hope and progress to be made, even for long time T1D’s like us!